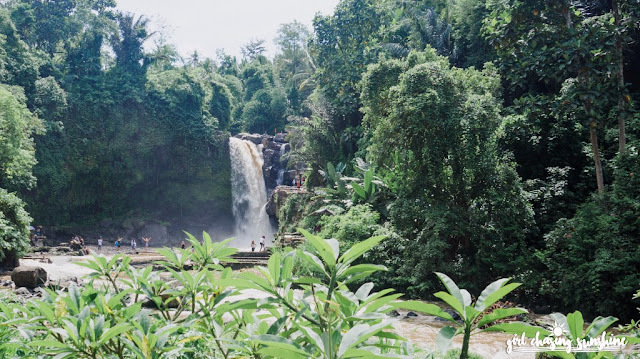 Bali is home to some of the world’s most photogenic spots—lush rice fields, spiritual temples by and in the sea, sacred shrines carved out of nature, out-of-this-world infinity pools, stunning sunsets, colorful and drool-worthy cafes, wild jungles, towering waterfalls. 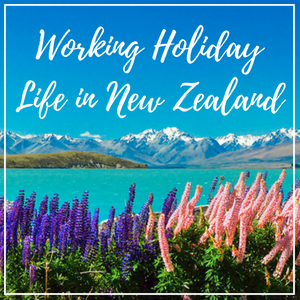 You name it; this tropical Asian paradise is punctuated with absolutely everything that screams #feedgoals and #vacationgoals. I only spent four full days with my boyfriend in Bali during our trip last summer (April 2017) but the Island of the Gods truly put me in awe! 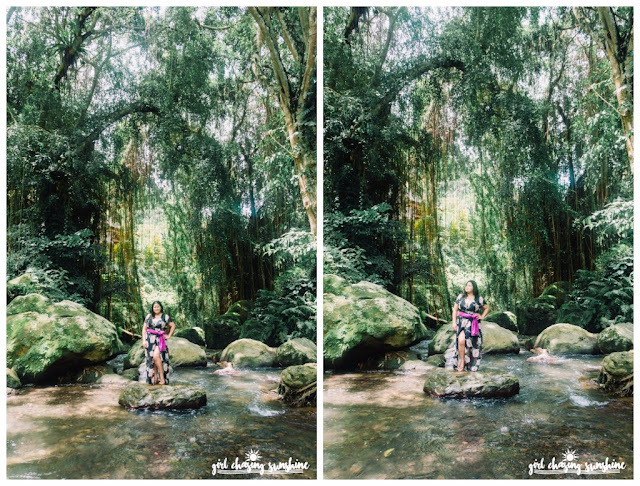 With so many beautiful spots in Bali to see and choose from, we were stumped. Where would we go? Admittedly, we missed seeing a lot of important and popular landmarks on this particular Bali trip. But #NoRegrets as we were able to explore the best this island has to offer! 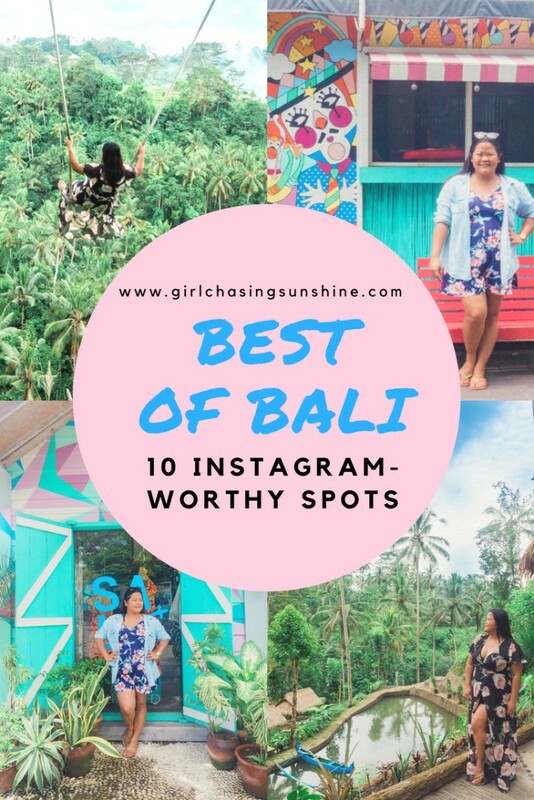 From swinging over the jungle in a small Balinese village to discovering an infinity pool set in a scenic rainforest, here are my most favorite and recommended Instagram-worthy places in Bali, Indonesia. 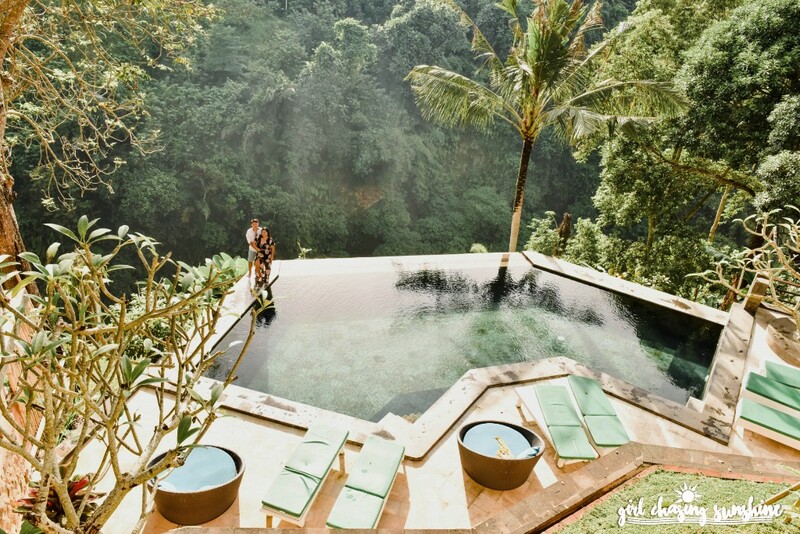 Perhaps you’ve seen a photo of the famous Ubud Hanging Gardens whose claim to fame is its double-level cascading infinity pool, crowned by TripAdvisor and Conde Nast Traveler as the “World’s Best Swimming Pool.” And perhaps too, you’ve wanted to book a stay there just to experience their levitated pool. But the room rate are as jaw-dropping as its iconic pool—the cheapest room costs more than $500 for an overnight stay! 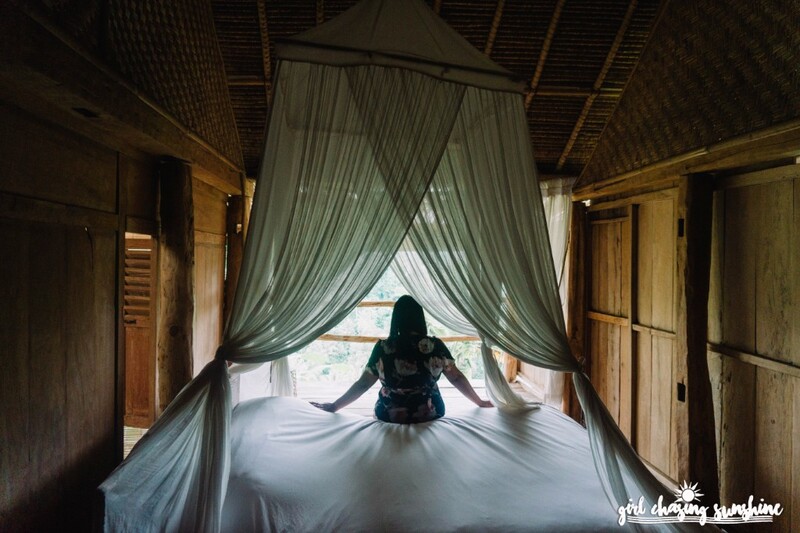 Thankfully, we found an affordable option at Beji Ubud Resort and Spa. 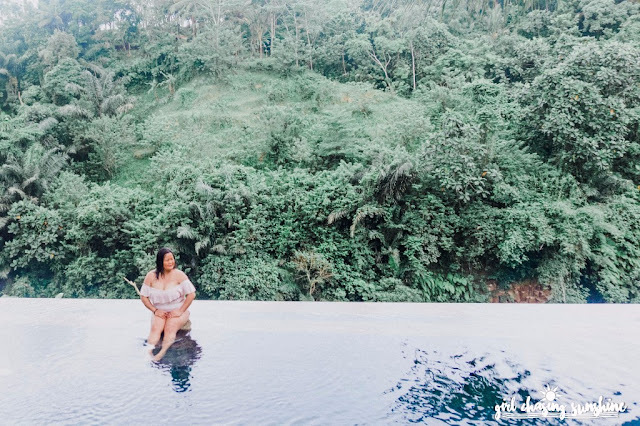 Nestled deep in Ubud’s heartland of rich rainforest, the sight of their gravity-defying infinity pool took my breath away! It’s by the edge of the cliff (hence, the nickname I gave it) and has an otherworldly view of the jungle and the stream where the Oos and Cerik Rivers meet. There were only a few of guests during our stay there and most of the time, we had the pool to ourselves. Nevertheless, there were four other pools around the resort for us to enjoy! 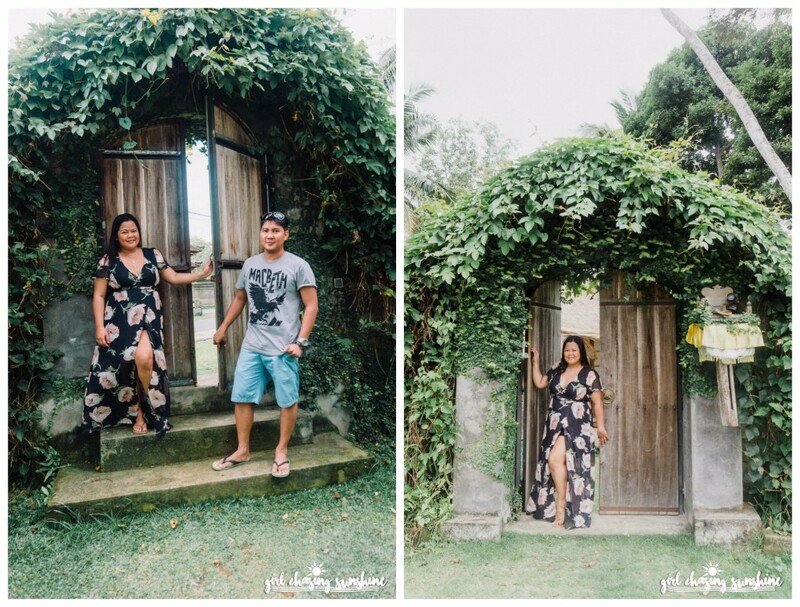 The price was the cherry on top as we only paid around Php3, 500 ($70) for an overnight stay in their garden villa. This came with free massage for two, a candle-lit dinner, and a welcome basket of fruits and sarong! Such a sulit deal! Prices start at Php3,000/night for two persons. Check updated prices on Agoda and Booking.com. The highlight of our Bali trip! We literally spent an entire day tracking down this swing at the edge of the world. So what’s so special about this place? 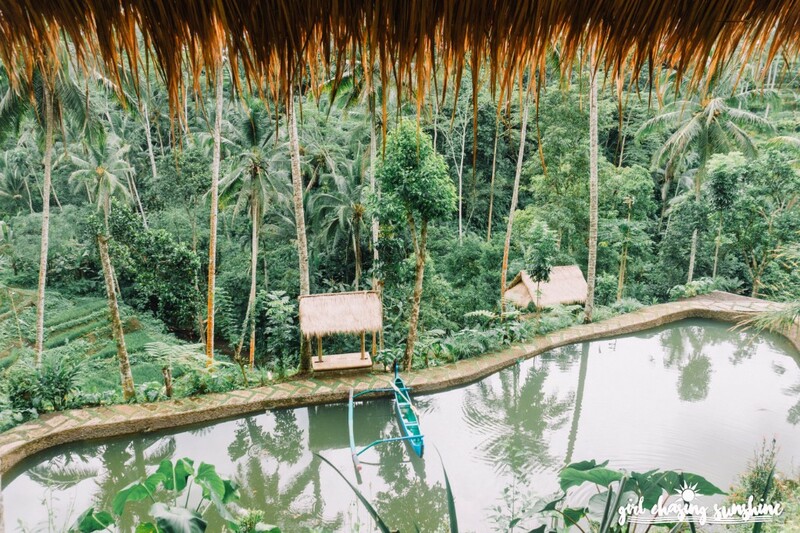 Firstly, it’s located in a traditional Balinese village away from the hustle of central Ubud, so you’ll have a chance to interact with the locals. 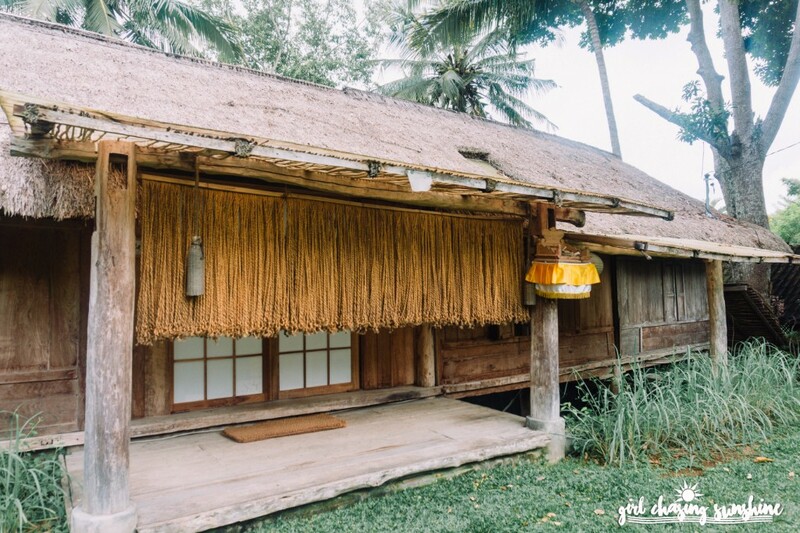 As the name suggests—Zen Hideaway—it’s all about peace and serenity. 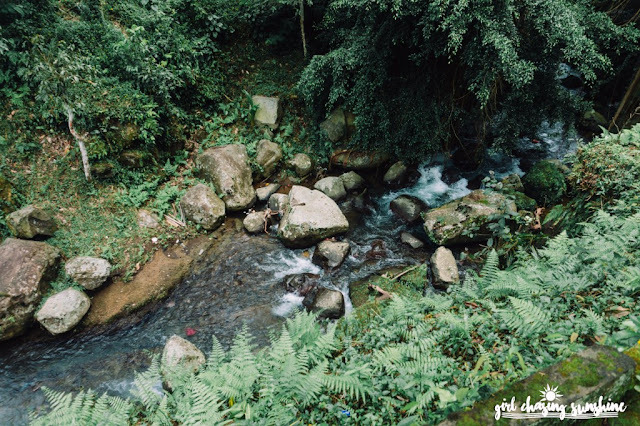 There’s nothing but the sound, sights, and smell of the wild jungle. And then there’s the swing, which easily became the wildest ride of my life. 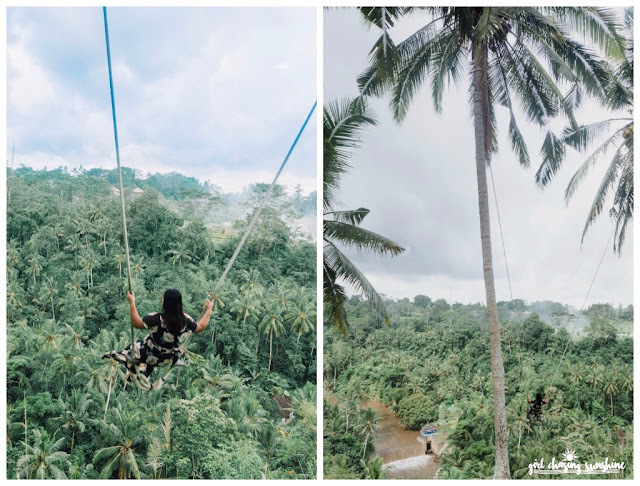 Swinging freely with the panoramic views of nature’s best—the lush forest and rice fields, the cascading Ayung River, a mini waterfall, Mount Agung, and lush coconut trees—was, indeed, an unparalleled experience for me! The swing hangs perilously between coconut trees, there’s no harness but the excitement and thrill it brought me made all the risk worth it. 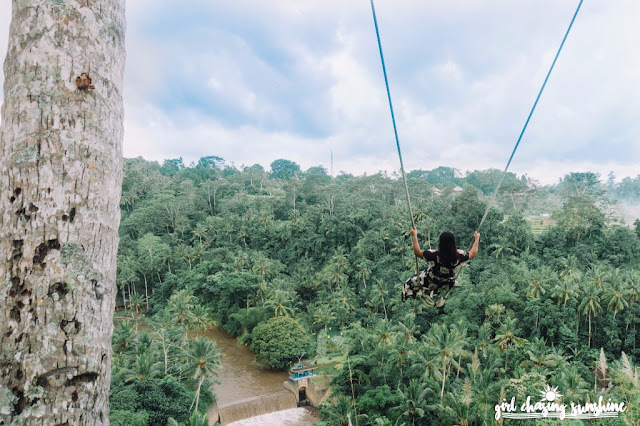 Since there is no harness nor any safety gear, it's best to get and review international health insurance before trying out this exciting but dangerous activity. The entire house and compound is another story altogether. The rustic abode is made from 150-year old teak wood and is designed with rooms that are semi-open. Actually, there’s not much to do here but I’m guessing that’s what you want to come here for, right? 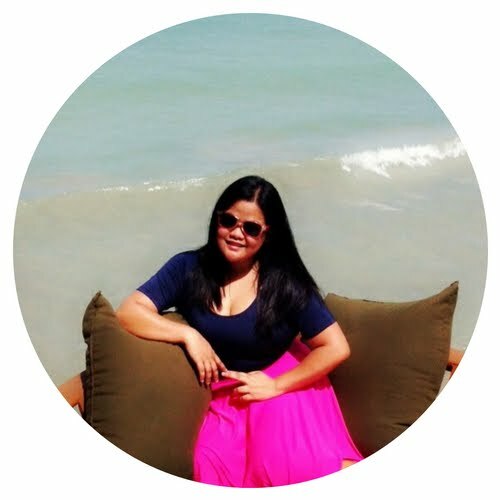 An overnight stay costs around Php7,000 – Php12,000, depending on the season. Expensive, no? Fret not, you can use the swing and stay for an hour at the compound. That is, if the house is unoccupied, if you find the caretaker lurking around the street, and if you are willing to shell out around Php1,000 per person to ride the swing! Book your stay through Airbnb. Sign up here to get Php1,100 credits! 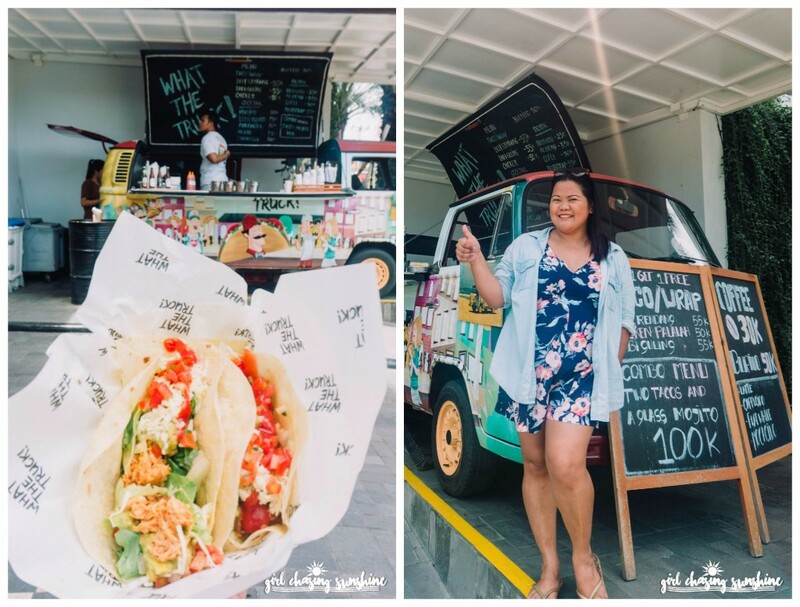 Now, let’s TACO about this awesome food discovery in Seminyak, Bali—What The Truck! 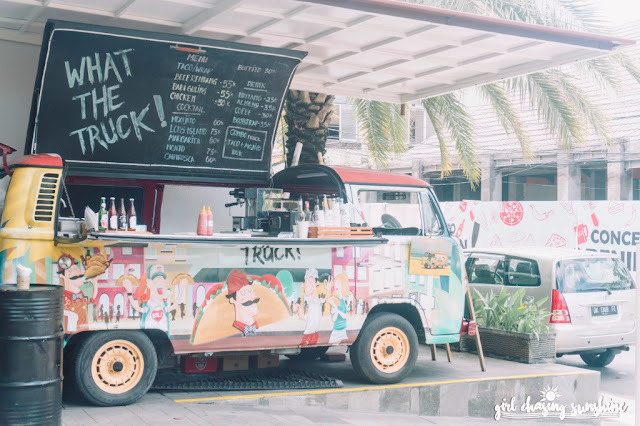 Located at the pedestrian walk of Courtyard Bali Seminyak Resort, this is where we got our fix of local fusion tacos. They also offer signature brews, local beers, and refreshing mojitos at surprisingly reasonable prices. What The Truck is housed in a cool Volkswagen Kombi, painted in a burst of summery shades! The friendly servers sell their amazing tacos and brews by the window, at the curbside. I love the fun food truck concept but I love their Babi Guling taco more! Don’t be fooled, my friend. This one is not a real circus. Bright, pastel colors, floral explosion, whimsical design—Sea Circus Bali is what #FeedGoals and Instagram dreams are made of. 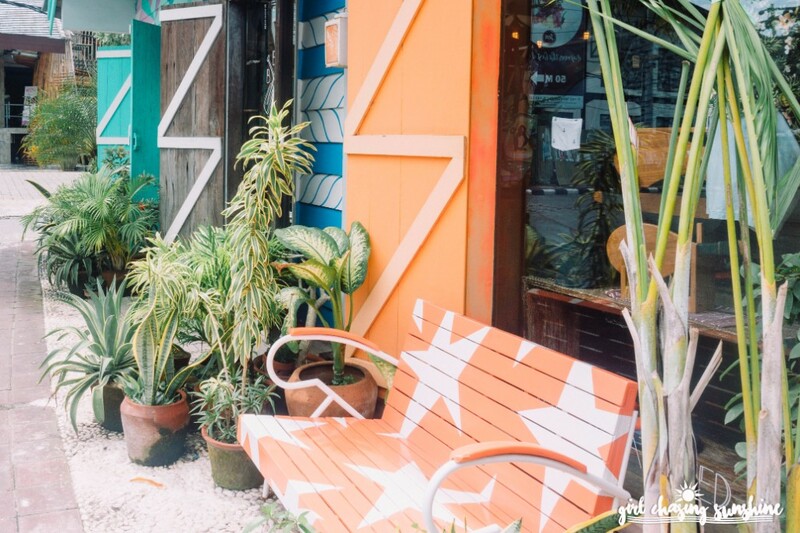 This café is a must-see Seminyak spot for a reason: it’s funky; it’s hip; it’s super Instagrammable. As a bonus, the food is nutritious and oh-so-good! 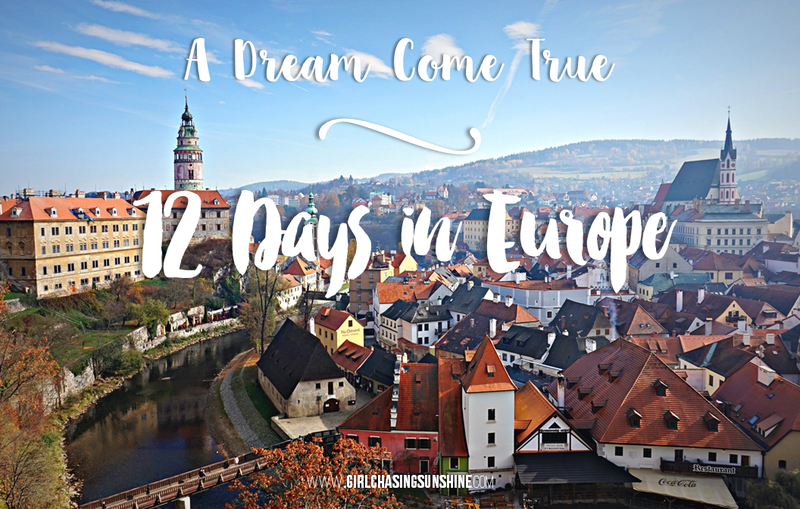 However, expect a long wait, especially during breakfast and brunch, as this café has a cult following among locals, expats, and tourists. The street side façade is splashed with everything pastel and circus-y, which makes it a pretty backdrop for photos. 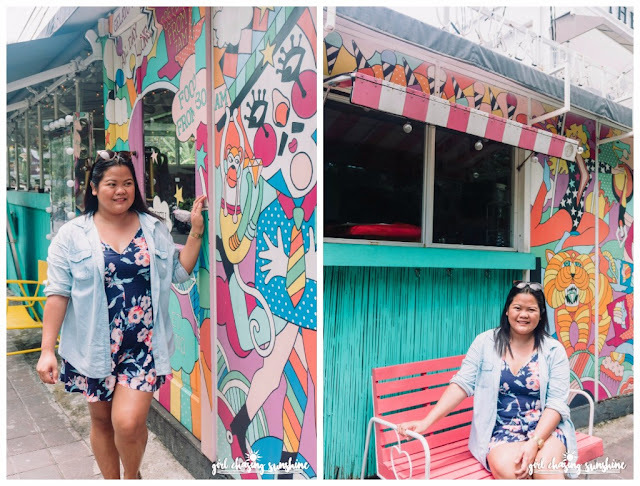 This might just be considered a sister of Sea Circus Bali—they are only a few steps away and they have the same colorful exterior and interior. 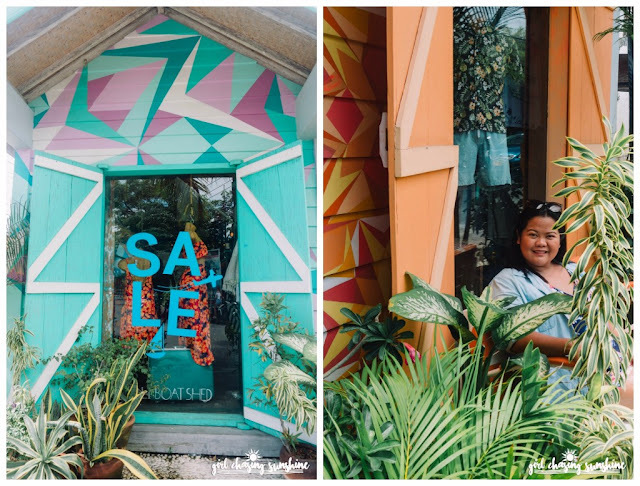 A curated concept store of Bali’s best clothing brands, Bali Boat Shed is a go-to destination for those who want to level up their fashion game while visiting the island. Expect high-end apparels, clothes, and accessories perfect for the Bali’s all-year summer vibe. It’s a vibrant collection of beach sheds one after the other, hence the name. Outside, there’s a small bench where you can take photos to add to your Instagram feed. Bali is not just about beaches and temples. 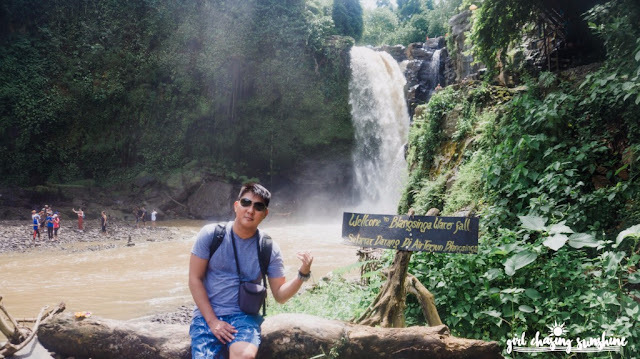 It also has some of the most beautiful waterfalls in the region. 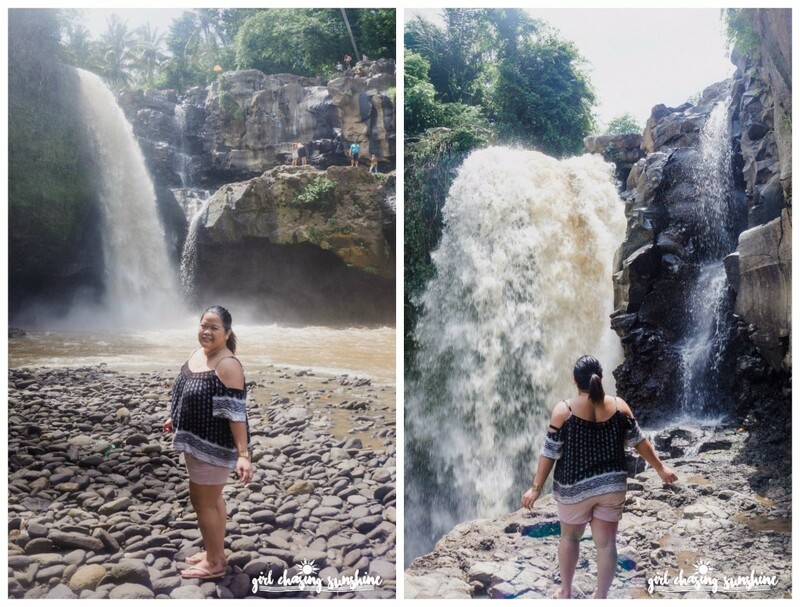 During our stay, we went to probably one of the famous and favorite waterfall spots in Bali—the Tegenungan Waterfall. 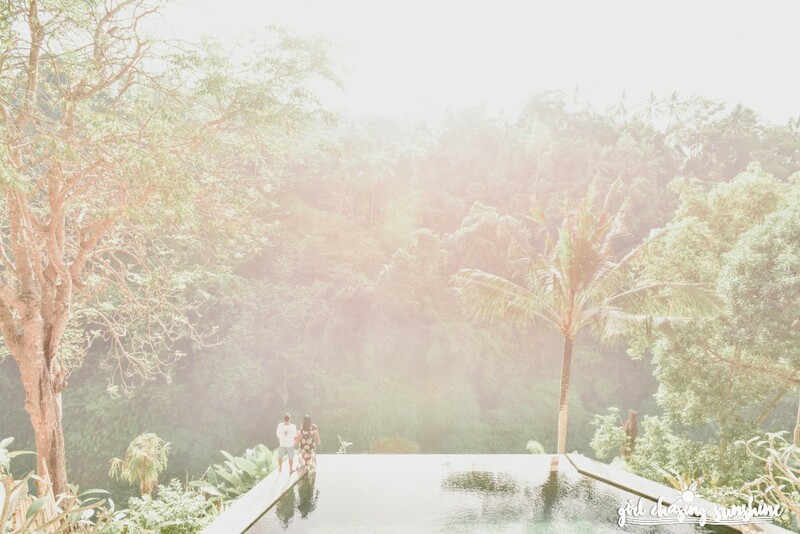 Hidden in the jungles of Bali, we descended several flights of stairs to reach this stunning waterfall. When we were finally almost out of breath and all sweaty, we were rewarded with a view of a pool underneath the falls. They say it’s best to visit earlier in the day to avoid the crowds and the unforgiving humid weather. We wanted a closer experience with the majestic falls so we braved crossing the log bridge and climbing another flight of rocky stairs going up. Up there, being closer to the gushing and pounding water allowed us to cool off and enjoy the view from above. Truly refreshing! 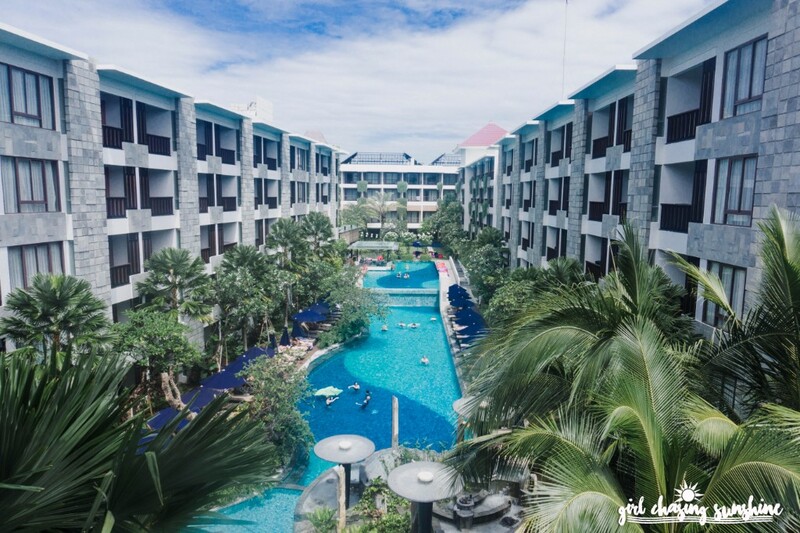 One of the best decisions we’ve made for our first time in Bali was staying at Courtyard Seminyak! High-quality amenities and facilities coupled with heartwarming hospitality and service from the staff defined this hotel. It offers true Marriott quality at a valuable price! 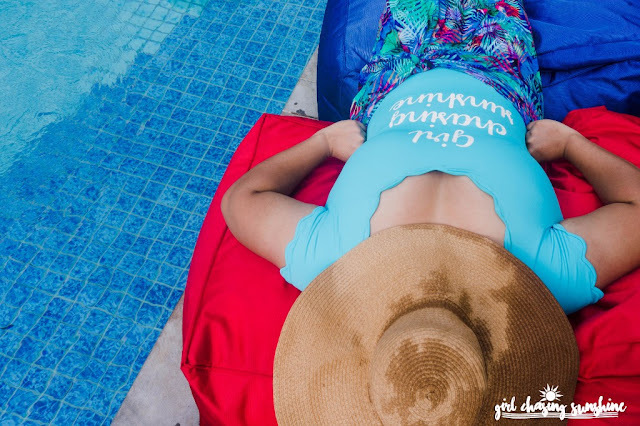 Everything was pure perfection—from the three-tier pool with colorful lounges, the pool bar that serves thirst-quenching mixes, the all-day popcorn and fairy floss station, and the wide and healthy selection for buffet breakfast at Seminyak Kitchen. We were billeted at the fifth floor where we had a bird’s eye view of the three-tiered pool. Most (if not all, I think) of the rooms have balcony and offer the same mesmerizing view. 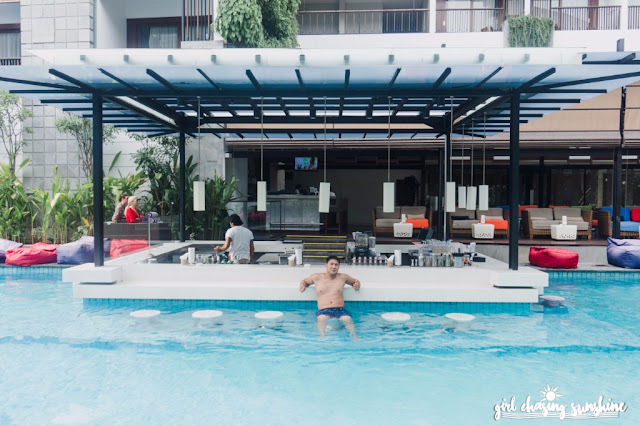 Believe me when I say that staying at this hotel made us ditch our Tanah Lot and Uluwatu tour just to be able to spend more time lounging at the pool and the pool bar. Yes, it’s that good! 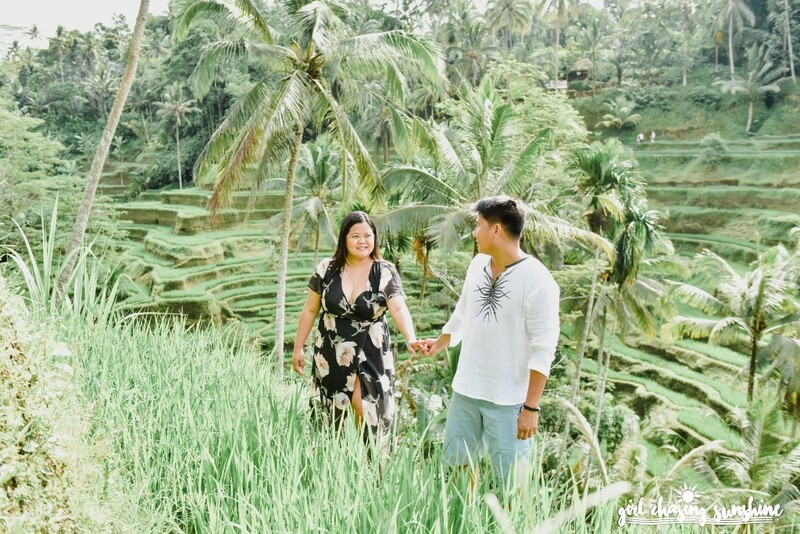 A famous Bali attraction, visiting a rice field in Bali is one of the top things to do. 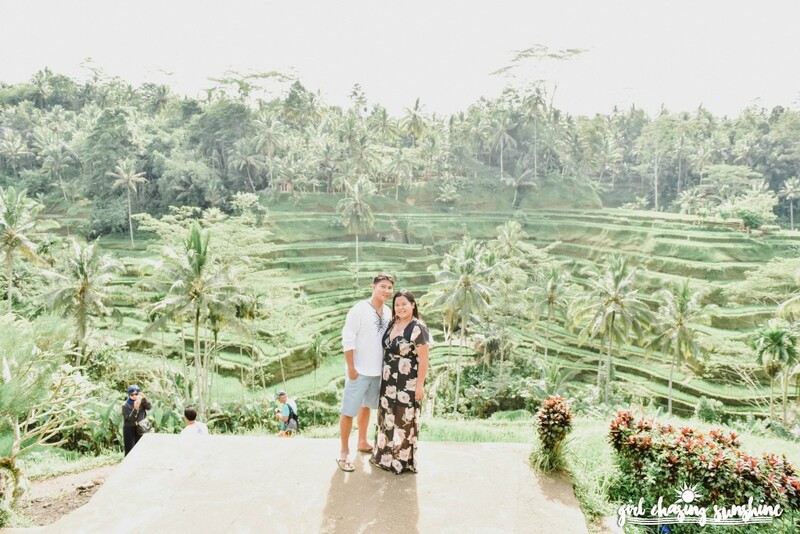 We only had time to visit one and my boyfriend and I both agreed that the amazing beauty of Tegalalang Rice Terraces is unbeatable. The fields are so lush, so green, and so beautiful. We soaked in the sweeping views by strolling around; I think I almost exhausted the storage of my camera here. This 11th century temple and funerary complex is usually always part of the temple loop tour in Ubud but is practically a hidden gem when compared to other famous temples such as Bedugul, Tanah Lot, and Uluwatu. 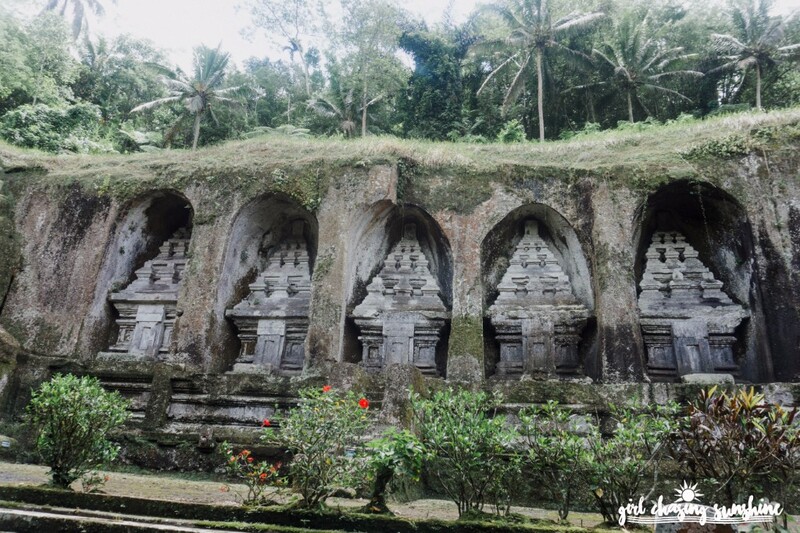 Considered as one of Bali’s oldest and largest ancient monuments, Gunung Kawi’s uniqueness is derived from its very essence and form—it’s a stone-carved shrine surrounded by many natural water elements. 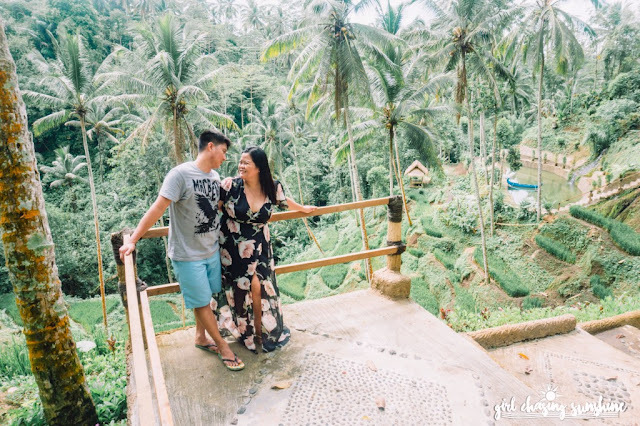 It’s tucked away deep into the valley and just like many Ubud attractions, you have to hike through a winding flight of stairs to get to Gunung Kawi. Once in the compound, we were mystified by the view of towering shrines and rock faces carved out of the valley. There were a total of ten shrines, locally known as candi. Though ancient, they are all well-preserved. 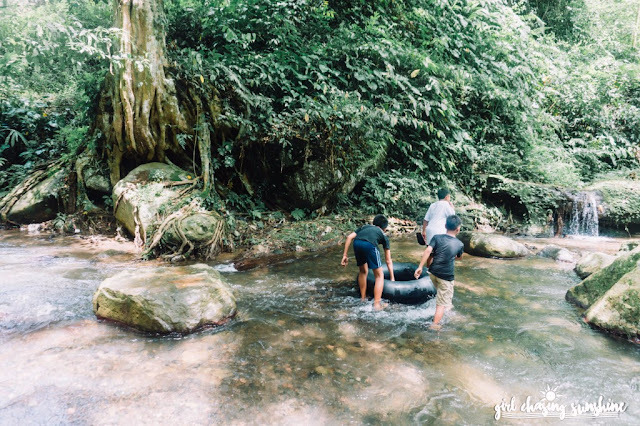 The highlight of our trip to Gunung Kawi was our diversion to the sacred Pakrisan River. Between the glassy water of the stream and the hanging wild vines, it was truly a blessed moment. 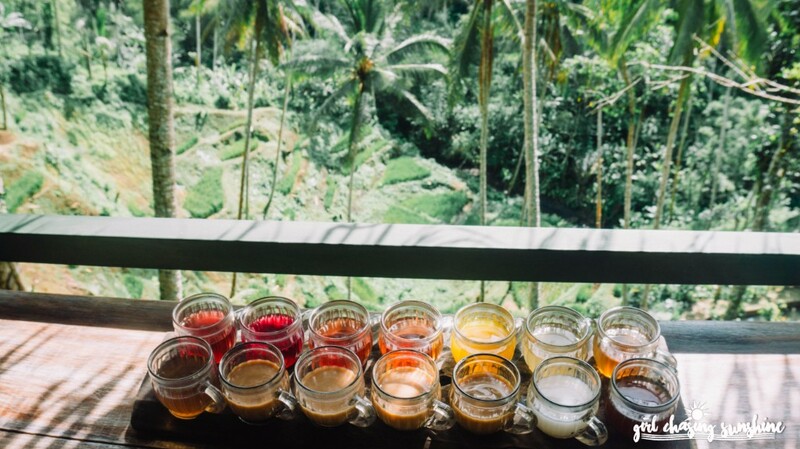 Another quintessential Bali experience, coffee plantations are abundant in this Indonesian island. 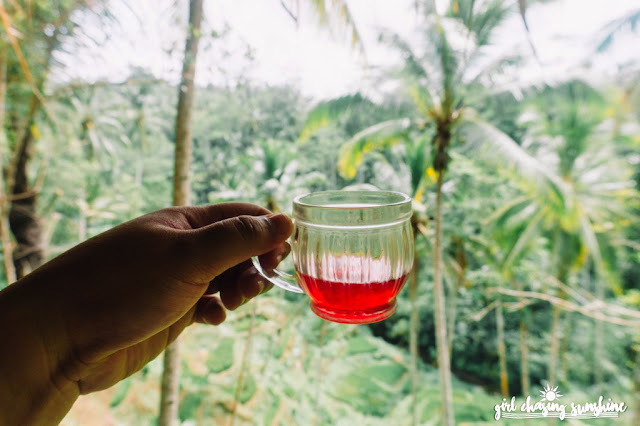 Most coffee plantations are in Ubud and we’re glad that our hired driver for the day took us to Alas Harum. After being toured around the plantation, we were offered free tasting of 12 kinds of coffees and teas. Curious about the taste of Kopi Luwak, the infamous and expensive cat poop coffee, we also tried a cup at IDR50,000. Aside from harvesting various kinds of coffee beans, Alas Harum also grows a variety of fruits, plants, and spices that they use for their brews. 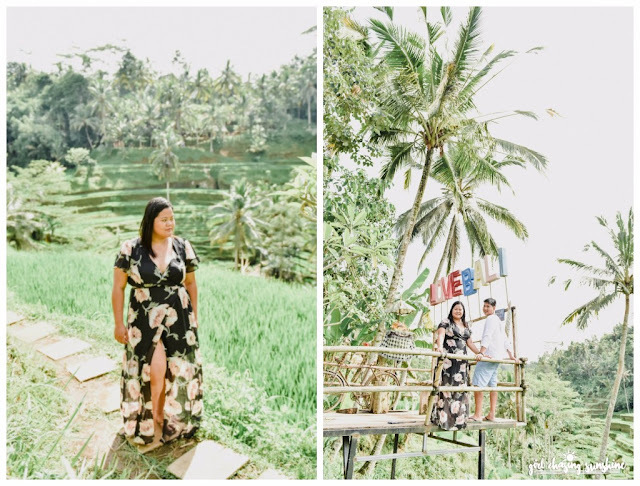 We enjoyed sipping our drinks in their dining deck perched on a small hill overlooking the lush rice plantation. We were able to go down further the valley inside the Alas Harum compound where there was a boat docked by the mini-lake and some sheds to take all the scenery in. 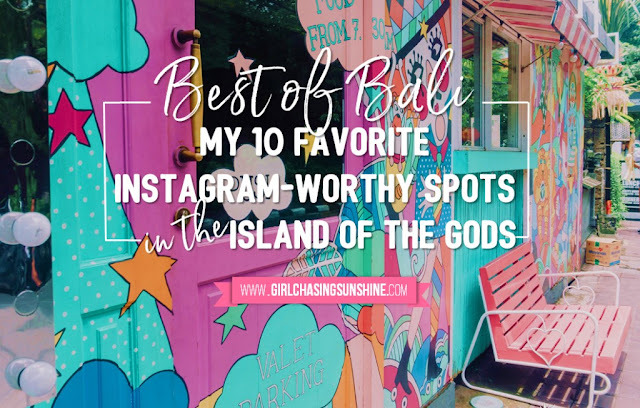 Indeed, Bali is one of the most picture-perfect places I've visited. There are actually many more beautiful attractions in Bali that deserve a spot in our Instagram feed but if we'll try to list them all, then we'll have to take another trip to Bali soon! How about you? What's your favorite Instagrammable spot in Bali? Share them in the comments section below! All great shots Anne Marie! We spent a month not 5 minutes from those rice terraces; headed over at 6 AM to get a few dramatic, mysterious looking snaps as the fog rolled in. An unreal sight, seeing the steps/stairs of rice and how the farmers work the terraces. OMG! I love your dress!